In 1987 I thought for sure "Mr. Wonderful" Paul Orndorff was going to win the WWF Heavyweight Title from Hulk Hogan. The two had been feuding for months and things culminated on a Saturday night in January. I had been on a camping trip that weekend so Sunday afternoon when I got home I popped the tape into the VCR and watched Saturday Night's Main Event. Since I was using a VCR this was obviously long before the internet was around to spoil results. I watched in excitement as Orndorff climbed up the big blue steel cage and down the other side. But Hogan was doing the same thing across the ring and the Superstars' feet hit the arena floor at the same time. It was a tie. Arugebly that would be the closest "Mr. Wonderful" would ever get to winning gold during his tenure in the WWF. 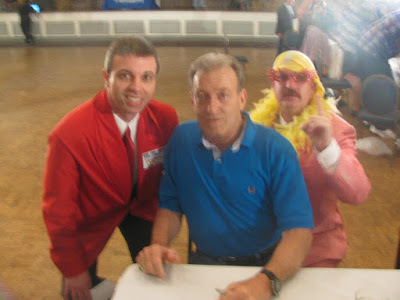 Being a "rebellious" teenager, I parted ways with the Hulkster and had a new hero in Orndorff. What wasn't to love? He had the patented pile driver, awesome sequined robes and the greatest manager of all time in his corner; Bobby "The Brain" Heenan. Not only did Orndorff not capture the title that night, but he essentially disappeared from the company for months. He wasn't a part of WrestleMania III which always baffled me until recently. He told Ric Flair during a podcast he was injured at the time. It was weird because his absence was never explained and just months earlier was a half step away from winning the gold. But he did re-emerge and feuded again with Heenan after the Brain acquired the contract of "Ravishing" Rick Rude. His time in WWF was limited and he headed off into the sunset for a bit. 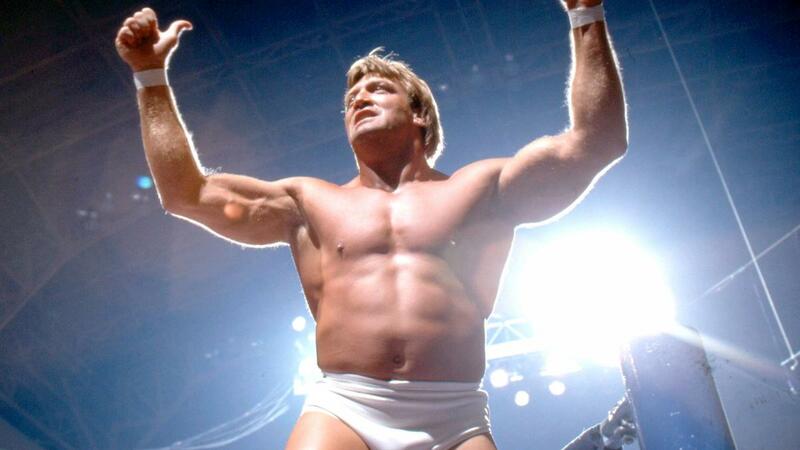 Eventually Orndorff arrived in WCW, winning the TV Title and tag team championships with Paul Roma. 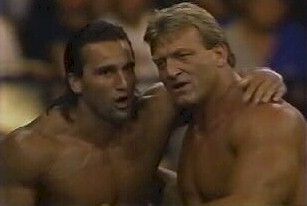 The team was known as Pretty Wonderful and they were, as was Orndorff's career in general. I'm glad to hear the cancer he had been battling is in remission.